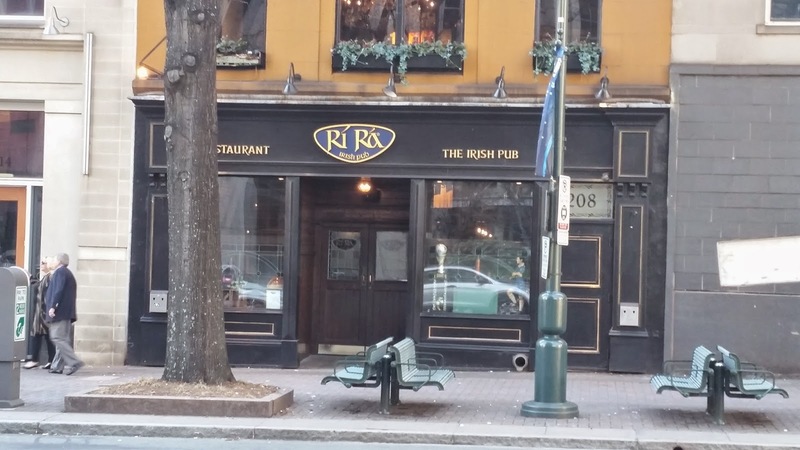 This week’s Excited about Eating is headed to Uptown Charlotte to visit Ri Ra Irish Pub. When we walked into this restaurant, it felt like we were walking into a pub in Ireland. 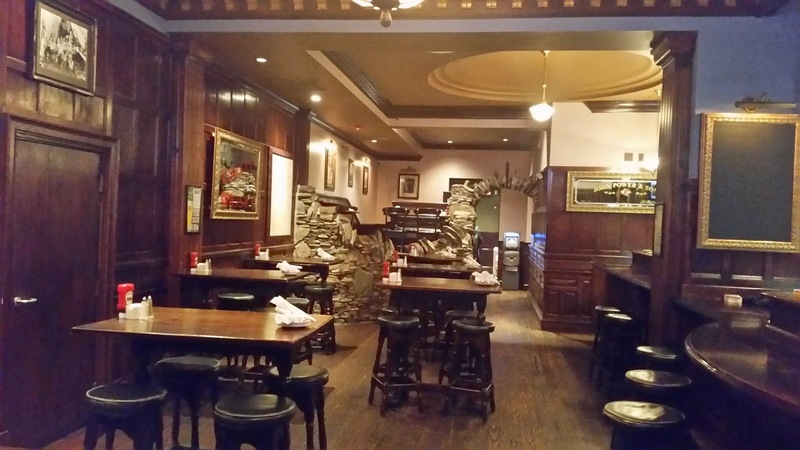 Our server told us that the interior was transported from Ireland and restored into its existing condition. I ordered the Shepherd’s Pie, made with minced lamb, gravy, peas, carrots, and leeks served with a mashed potato crust and a slice of brown bread. The term “shepherd’s pie” is used when the meat is lamb; the theory being that shepherd is connected to sheep and not cattle. This was an outstanding dish. The lamb and vegetables were perfectly cooked and full of favor with just the right amount of liquid, and the mashed potatoes were creamy with a nice crust. I’m always game for Shepherd’s Pie, and this was the first I’ve tasted with lamb. Thankfully, hubby shared with me or I might’ve resorted to stealing his fork. Soooo good! 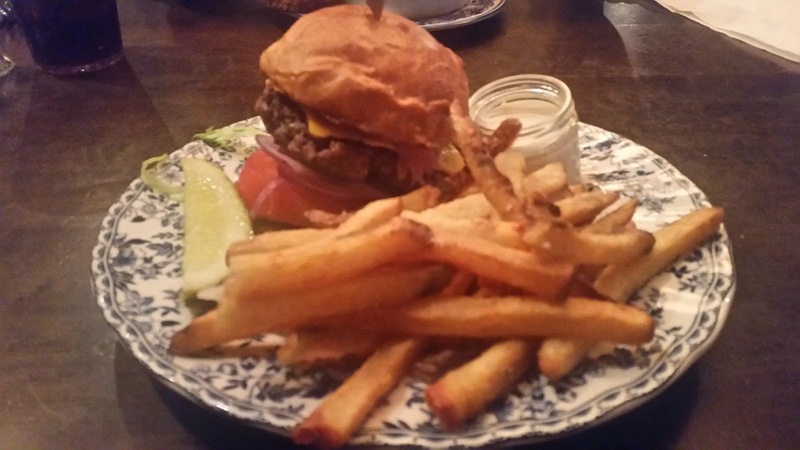 My wife chose the Ri Ra Burger, topped with Ashe County cheddar, country ham, brown sugar onions and a Brioche bun. This burger was tall, juicy, and almost too big for the mouth. The caramelized brown sugar onions were sweet, and the garlic mayo added a unique taste. The “Chipper “ chips are actually thick cut fries. I snagged a few and enjoyed dipping them in the garlic mayo. This was a messy burger, but oh so yummalicious! And I probably drank a gallon of their iced tea. I would rate this establishment 5 forks out of 5 for a family friendly restaurant serving outstanding food. If I included the less-than-thrilling appetizer, I’d lower my rating to 4 forks. 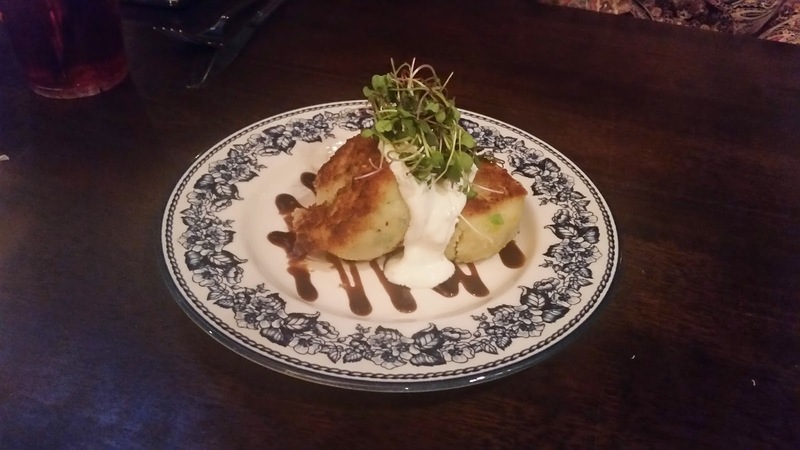 Warning – this blog can cause hunger pangs. This really looks like a fun place and the food looks wonderful. Tell me about it! I drool every time I load Ernie's posts, remembering how yummy everything tasted. Hope you are having a fantastic weekend, Ann. Thanks Ann, it was a great place and the food was indeed wonderful. Looks yummy! Of course, I would open this blog right at suppertime! Myra, it was really good.